Following the exciting announcement of the new Kids Plus Centre for Therapy, Research and Training, we’re pleased to announce construction on the site has commenced. 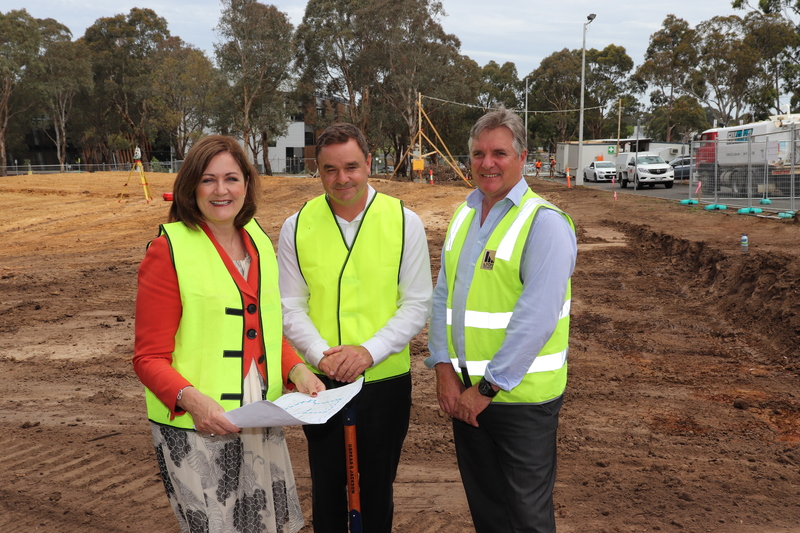 As of November 2018, Lyons Construction gained access to the Deakin University Waurn Ponds site to begin works on the new centre, which is expected for completion in late 2019. $90,000 from the Adroit Insurance Capital Grant and a donation of $135,787 from Burke Britton Financial Partners, in association with Future Generation Investment Company, also contributed towards the new centre, specifically a custom-designed, therapy-focused playground. With works expected for completion in late 2019, staff and clients are expected to be using the centre from January 2020. The new centre will change the future of Kids Plus Foundation and allow for an increase in the number of families using the Foundation’s services, as well as state of the art equipment and facilities. It will also enable teaching, learning and research collaborations between Kids Plus Foundation and Deakin University. Image taken by Sarah Henderson MP office.